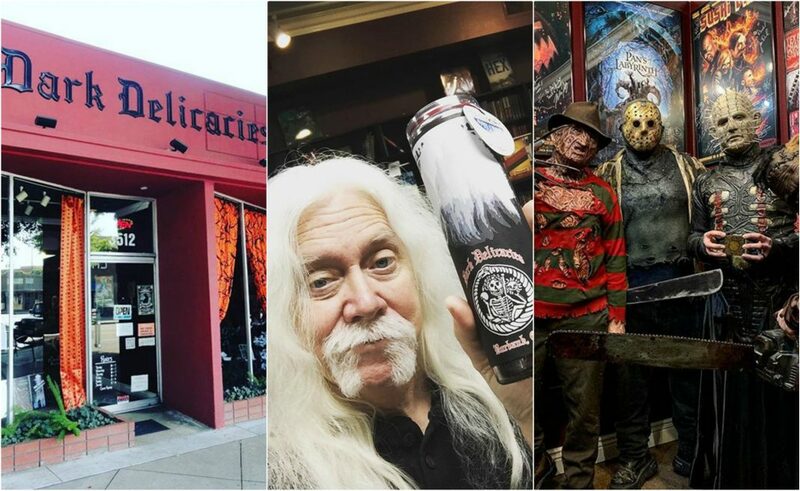 Say what you will about social media’s influence on the zeitgeist, but every now and then it does some unadulterated good—for instance, when famed Magnolia Park horror shop Dark Delicacies was on the verge of shutting its doors for good. With its lease up in May, husband-and-wife owners Del and Sue Howison had resigned themselves to the plausible reality that they might be forced to close their brick-and-mortar store. “The rent was being increased to an unmanageable level, and the Howisons figured they’d just have to close shop and sell their dreadfully desirable items,” according to a story in the Daily Bulletin. Suddenly, things were looking up again, when the Howisons found an affordable store space just blocks down their current location. Dark Delicacies, which opened December 3, 1994, has become a gathering place for horror-obsessed folks from L.A. and beyond. The store is known for hosting famous writers, directors, actors, and composers of the horror genre for signings and other events. In early January, Del Howison went online and created a GoFundMe page in an effort to raise money to relocate the business. “Unfortunately, like so many other places, the landscape in Burbank is changing. Rents have skyrocketed, and many of the unique stores that put the area on the map have been forced to move or close their doors altogether,” he wrote. But that’s not all that happened. Director Guillermo del Toro took to Twitter to show his love for Burbank and Dark Delicacies. He vowed to help it move and so did the thousands of Twitter followers who liked, retweeted, and donated. Del Toro’s tweet reads, “I love Burbank, I edited CRONOS, BLADE II, MIMIC etc, there. I love Magnolia Blvd., I love its many stores (many pieces in Bleak House come from there) and I love, love, love DARK DELICACIES. I vow to help it move successfully. You can help to…” Soon after, the GoFundMe page far exceeded its original $20,000 goal.